The American Musicological Society and the Music Division of the Library of Congress present lectures highlighting musicological research conducted in the Division’s collections. In the most recent, Kendra Preston Leonard discusses early work the twentieth-century composer Franco-Amercian composer, Louise Talma (1906-96). Read our preview of the lecture HERE. Click HERE for information on previous lectures, including links to the webcasts. The American Musicological Society and the Rock and Roll Hall of Fame and Museum (RRHOFM) in Cleveland, Ohio, are collaborating on a new lecture series that brings scholarly work to a broader audience and showcases the musicological work of the top scholars in the field. Description of series and past lectures HERE. “Rapper’s Delight,” the multi-platinum single that propelled The Sugarhill Gang into the national spotlight late in 1979, effectively launched a new genre called“ rap music.” For those at the center of New York’s hip hop scene, however, the sudden rise of The Sugarhill Gang—a group that had never performed together live until after they had a hit record—came as a shock. The group’s many critics have emphasized their lack of credibility as live performers, their stealing of other MCs’ rhymes, and the way their hit song emphasized the MC at the expense of the DJ. Yet this focus on the inauthenticity of “Rapper’s Delight,” has shielded from view a profound shift in form that accompanied hip hop’s translation from live performance to recorded rap. Fortunately, the world of hip-hop music before “Rapper’s Delight,” is not completely lost to us. In addition to oral histories and autobiographies describing the era, a trove of pre-1979 bootleg recordings provides us with valuable documentation of this bygone era. My lecture focuses on two of the best preserved of these tapes, featuring RRHOFM inductees DJ Grandmaster Flash and The 4 MCs (before they added Rahiem and became the Furious Five). I rely on close listening and an original approach to transcription that highlights the expressive practices and artistic priorities of hip hop’s first DJs and MCs. Although we hear something that resembles later music—namely MCs rapping over beats—these recordings feature a sense of musical spontaneity that distinguishes them from later studio-produced music. By paying closer attention to pre-1979 hip hop on its own terms, I seek a greater understanding and appreciation for the work of pioneering DJs and MCs, and I hope to demonstrate how formal analysis and questions related to historical performance practice can serve to generate new knowledge in popular music research. Sound familiar? No matter how many times I am asked the second question, it always flummoxes me. My attempt to preempt it by answering the first question with something along the lines of “I teach music academics,” or, with greater specificity, “I teach the history and theory of music, not its performance,” have tended only to confuse my questioners. And in the event that they do know what I'm talking about, especially if they took a music course or two in college, they occasionally respond with an “Oh” or an “Ah” whose apparent disappointment makes me reluctant to say more. But this question perplexes me on an even deeper level. Like many other members of our field, I actually do play an instrument (piano) and thus am confounded by the implication that one approach to music should exclude another. It is true that my institution, the University of Virginia, employs me to teach academic subjects, rather than performance, but I would not be doing the former if it weren't for my experience with the latter. In fact, I originally chose to enter this field because I thought that academia's enduring promise of freedom might give me the chance to strike a good balance between making music and learning about it. Looking back over the past fifteen years, I think I’ve realized my hopes pretty well. I would even venture to say that my scholarship has improved my performance, and vice versa. I owe this sense of fulfillment, in large part, to doing lecture-recitals. The lecture-recital is not universally esteemed. Indeed, those who have attended such events are likely to recall at least one instance in which the lecture shed so little light on the performance that it probably should have remained a program note for the audience to read ad libitum. But if the elements of a lecture-recital are nicely shaped and synthesized, it can be a wonderful experience: revelatory for the audience, and deeply satisfying for the speaker-performer. And the prospect for the lecture-recital has only improved in the age of PowerPoint. In addition to speaking and playing, we are more likely than ever before to show images of archival materials, play recorded music, add visual emphasis to particular points, and highlight details in musical scores, even if we don’t ask the audience to decipher the notation. To be able to realize all these possibilities in a single event is wishful thinking, of course. Even if you found a space with these A/V capabilities and had the means to rent it, you would still need sufficient time and energy to prepare the lecture and bring the music up to a level suitable for public performance. Music classrooms on campus are most likely to be equipped in these ways, but I seldom give lecture-recitals to the students in my courses; in my experience, the lecture-recital tends to be formal and monological, while I prefer my classes to be more informal and dialogical. Consequently, the lecture-recitals I have given over the past several years have tended to be outreach events for an organization to which I belong, UVa’s Center for German Studies. In this context I have performed the Brahms op. 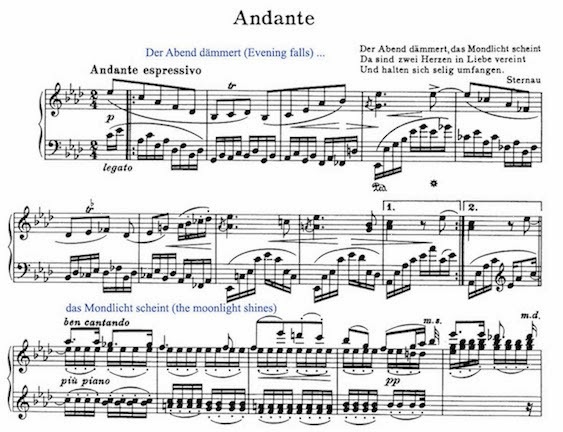 5 piano sonata, Liszt’s Funérailles, and various pieces by Robert Schumann, mostly for high school students with a budding interest in German culture. Naturally, I’ve had to work within the given constraints of time, instrument, acoustics, and so forth, but I can’t think of anything more desirable than having the opportunity to inspire a young person to love the thing that you love. I have never found out whether these presentations actually had any lasting effect on their audiences, but I do still remember when my attempt to demonstrate a thesis by Detlev Kraus—that Brahms, in the second movement of his op. 5 sonata, painted the successive events of its poetic epigraph—caused a pair of students in the front row to giggle with surprise and pleasure as they suddenly experienced music’s ability to make the inaudible audible: in this instance, evening’s approach and the delicate gleam of moonlight. Click HERE to listen to a recording of this passage by Radu Lupu. Schumann and Debussy were the obvious choices to represent their respective eras, not only because we can construct a plausible artistic genealogy to link one to the other, but also because their music for piano sounds good in juxtaposition, at least to my ears. I also extended the filiation to Ravel and invoked Liszt as a mediator. With these basic elements in place, I then pondered the details of both the program and the lecture. I ultimately decided to advance two concepts as touchstones for this Franco-German rapprochement: the caprice and the fragment. Under the rubric of the caprice, which includes but is not limited to pieces titled “caprice” or “capriccio,” I placed notions such as dance, lightness, levity, surprise, and the arabesque. Notions associated with the fragment, on the other hand, included the miniature, incompletion, ephemerality, and memory. Due to their flexibility, these two concepts gave me wide latitude to formulate the program, which ultimately incorporated selections from Schumann’s Kreisleriana and Waldszenen, Ravel’s Miroirs and Le Tombeau de Couperin, some late Liszt (Première Valse oubliée), and early music of Debussy (Danse). At this point I had to confront various questions, practical and theoretical. How should I distribute my allotted time between lecture and recital? Should I finish the entire lecture before beginning the recital, or should I intersperse the two? If the latter, should I devote one lecture segment to each piece, or use a single segment to introduce a group of pieces? Should I discuss only the pieces on the program, or should I use the lecture to fill in any significant gaps in the programming? If I need to demonstrate musical excerpts during the lecture, should I use recordings or play them myself? And, perhaps most important, who will my audience be and what do I need to do to convey to them, as effectively as possible, the music and my ideas about it? Although I initially intended to play more and talk less, the growth of my text eventually forced me to leave out a few pieces and split the time evenly between speaking and performing. In general, I designed each lecture segment to introduce the single piece that followed it and last about the same amount of time as the music; since the average duration of the selections was about six minutes, the program fluctuated between word and music with a frequency that I thought would be friendly for a lay audience. 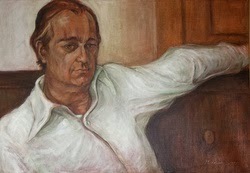 In each segment I situated the piece within its historical context and indicated its connection to the guiding topics of caprice and fragment. I also included some musical analysis, sticking to issues of form, rhythm, register, and articulation while steering clear of harmony and tonality, which might be more difficult for the audience to grasp. This allowed me not only to show similarities among pieces whose resemblance might not be immediately apparent to the untrained ear, but also to highlight a few key moments in such a way that, when the audience encountered them in the subsequent performance of the entire piece, they would feel a sense of recognition, orientation, and even understanding. For the most part I demonstrated these moments by playing them on the piano. Without asking the audience to read the music, I nevertheless sought to reinforce the aural with the visual by displaying them as score snippets on PowerPoint slides; a wireless microphone allowed me to discuss details within these passages—which I annotated on the slides themselves—at the same time that I was playing them. This was a useful exercise for me, as well, since it reminded me to bring out these details in the performance that followed. These norms not only lent structure to the presentation, but also served as a base line from which to diverge at opportune moments. One example of such divergence was the ongoing dialogue that I created between my musicological approach to these pieces and a theory of musical form and meaning that the literary theorist Roland Barthes once proposed; while he may have intended his speculations about the “intermezzo” to account solely for the special impulsiveness of Schumann’s piano music, I nevertheless experimented with applying his theory to French music, as well. And while I played most of the excerpts live at the piano, I still incorporated into my PowerPoint some excerpts from piano pieces by Debussy and Ravel as performed by the composers themselves—a valuable resource that sharpened the audience's attention during the second half. Another twist was a departure from the pattern of single-piece introductions to discuss Schumann’s “Vogel als Prophet” and Liszt’s waltz as a pair. Juxtaposing these two pieces not only highlighted their general similarity but also allowed me to show how the revision of endings in both pieces heightened their identity as musical fragments. Finally, I violated the otherwise chronological layout of the program by placing Debussy’s Danse after Ravel’s “Forlane,” even though the former was composed some twenty-five years before the latter. I did so primarily to show the audience that fin-de-siècle French musical Neoclassicism need not only be associated with works in the style of Le Tombeau de Couperin—that is to say, music with a clear historical referent (Couperin's ordres). Rather, I wanted the audience to understand that this musical movement could also encompass more fanciful conceptions of the past. There are myriad ways to compose a lecture-recital and just as many rationales for doing so. Thus, all I would want to claim about my approach is that it seemed to be effective on this occasion: I felt good about the quality of the presentation, and the audience seemed to leave pleased. Still, I wanted to share my experience here in the hope that it might be useful to anyone who is thinking of giving a lecture-recital for the first time or already does so with some regularity. Lecture-recitals may boil down to exercises in pedagogy, but they shouldn't be mistaken for a presentation you would give in a course. After all, your audience is not a group of students, and you will probably only interact with them once, rather than have the chance to form and inform them many times over many weeks. But the most significant difference is that the lecture-recital affords scholar-performers a special opportunity to demonstrate in telling detail how their understanding of music shapes the way they play it, as well as the way an audience might hear it. Even if I never manage to devise a satisfactory response to the question that began this essay, my continuing engagement with the lecture-recital gives me some comfort that I am doing my small part to combat the perceived divisions—between scholarship and performance, the experts and the general public—that have made it so difficult for me to answer. Here are some excerpts from the lecture-recital, 16 January 2014 at the National Humanities Center. below. Michael J. Puri is an associate professor in the McIntire Department of Music at the University of Virginia, and the author of Ravel the Decadent: Memory, Sublimation, and Desire (Oxford University Press, 2011). During the 2013–14 academic year he is in residence at the National Humanities Center as its Delta Delta Delta Fellow. NOTE: The 86th Academy Awards will be presented on March 2, 2014. The film treated here is nominated for Best Documentary Feature. Where falls the line between history and entertainment in modern depictions of popular music history? A recent film called 20 Feet From Stardom is the latest in a series of big-budget revisionist documentaries to bring this issue to the foreground. Similar to movies like Standing in the Shadows of Motown, Muscle Shoals, and The Wrecking Crew, all of which focus on relatively unknown instrumental backing groups, 20 Feet From Stardom seeks to uncover the hidden history and often-transparent role that background vocalists have played in recordings and live performances of rock and R&B since the early 1960s. A common goal of these documentaries is to force viewers to revisit their assumptions about elements of power and agency in the creative process of pop music, and 20 Feet From Stardom is a riveting piece that achieves this objective in a stunning manner. 20 Feet From Stardom is nominated for an Oscar this year, and its cultural impact has been great. There is real media buzz about the lives and work of Darlene Love, Claudia Lennear, Merry Clayton, Lisa Fischer, Judith Hill, and Tata Vega, the six vocalists featured most prominently in the story. Love, in particular, seems to have a new lease on life as a result of the film. Related tours and recordings are already in the works, and Hill, the youngest and most ascendant of the group, will most likely enter the fold of mainstream stardom in the coveted lead vocalist role during the coming years. In the wake of the film’s success it was even announced that Mick Jagger, who has worked with many of the film’s stars and provides commentary throughout the documentary, plans to launch a television series and Broadway musical based on the Stardom theme. There is a reason the film is so powerful. Like other projects of this type, Stardom exposes audiences to the creative methods used to fashion some of the most enduring music of the Baby Boomer soundtrack. Darlene Love is the film’s star, and the giddy and upbeat manner in which her compelling story is told is infectious. From being a veiled celebrity on well-known songs written and produced by Phil Spector in the 1960s to cleaning houses at the nadir of her career—only to return to the spotlight as a septuagenarian—Love and her storyline offer a profoundly satisfying trajectory. Profiles of other important singers further strengthen the film’s narrative appeal. Clayton tried in vain to achieve fame in the early 1970s, only to find failure. Fischer was once successful as a lead vocalist, but had trouble following a 1991 Grammy-winning single and decided to step out of the spotlight. After working as a provocative backing vocalist for Ike and Tina Turner and many other white rock groups, and purportedly serving as the inspiration for the Rolling Stones song “Brown Sugar,” Lennear left the music business entirely and is now a language instructor and tutor at Mt. San Antonio College. Hill was working with Michael Jackson at the time of his tragic death in 2009, and now struggles between the comfort and stability of backing gigs and striking out on her own. Short profiles of other singers, such as Vega and the Waters Family add more layers of complexity and compassion to the plight of the backing vocalist. In the end, what is perhaps most impressive about the film is the manner in which it maintains a continually positive tone. Some of the vocalists seem content with the security and anonymity of a supportive role, and others are realistic about the reasons that they failed to have careers as leading performers. Those who do attempt the transition to star status often find, ironically, that their backing work is integral to the very system that they seek to transcend. The film is far from perfect, however. Like other documentaries in this emerging genre it is a work of entertainment masked as a historical document. The stories of these particular vocalists need to be told, but their participation in the film leads to an exaggeration of their prominence. Without a doubt, this large cast includes some of the most prolific backing vocalists of the last fifty years, but these singers were part of a much larger cast of unknown backing vocalists active after the 1950s. There are scores of important singers not mentioned in the film, including groups like the Andantes, who were the most important backing group at Motown, and the Sweet Inspirations, who worked especially with Atlantic Records. The explicit claim that Darlene Love and Fanita James were the “first black background singers working in the studios” is overstated, as though made to support Love’s starring role in the film. Their group, the Blossoms, was certainly at the forefront of a trend toward using backgrounds that aligned sonically with stereotypical female African-American vocal types. But this style was closely linked to the rise of girl groups in the Rhythm and Blues market in the late 1950s, a connection that the film ignores altogether. Instead, anachronistically, it portrays this vocal style emerging sharply against the backdrop of Perry Como and the Fontaine Sisters singing “Silver and Gold” from a 1952 television broadcast. The depiction of fundamental differences between these “white” singers, who needed arranged scores, and “black” singers’ ability to freely improvise is also a historical distortion that conflates racial essentialism with larger contexts of musical style. Despite opening with a striking montage supported musically by “Walk On the Wild Side,” a song in which Lou Reed famously refers to his supporting vocalists as “the colored girls,” 20 Feet From Stardom manages to avoid or simplify the most central questions surrounding the cultural role of these singers. Why did rock musicians, who were mostly white and male, start to value the “insertion” of female vocal blackness (or a “gospel vocal sound”) into their music? How did this syncretic sound represent the changing cultural identity of rock during the 1960s and 1970s? Finally, what are we to make of the issues of race, gender, and power implied by this characteristic representation? 20 Feet From Stardom is without question powerful and important. The singers profiled, the role they helped to create, are embarrassingly under-represented in discourses about popular music, and this documentary offers public remedy. If it wins the Academy Award on March 2, quibbles such as mine should not spoil the moment. As time moves on, however, and the film becomes part of a larger dialogue about the history of popular music, more detailed work will need to occur to tell a more accurate and nuanced story of the vital role played by backing musicians in popular music. Until then, we should all let these singers enjoy their moment of “stardom,” and bask in some of the most stunning and versatile vocal performances recorded during the last half-century. Andrew Flory is assistant professor of music at Carleton College. He has written extensively about American rhythm and blues, and is an expert on the music of Motown. His book, I Hear a Symphony: Listening to the Music of Motown, is forthcoming from the University of Michigan Press. Working directly with Universal Records, Flory has served as consultant for several recent Motown reissues. He is also co-author, with John Covach, of the rock textbook What’s that Sound? (3rd edn., W. W. Norton, 2012). NOTE: February 20, 2014, is the twenty-first anniversary of the death of the distinguished American musicologist Howard Mayer Brown (1930–93). Ellen Harris presented these remarks at the University of Chicago on April 10, 1993. She refers to Brown's long-time companion Roger Weiss, who pre-deceased him, and to her husband John Harris. How does one take the measure of a man like Howard Mayer Brown? I first met him twenty-six years ago, when I arrived at the University of Chicago as a graduate student, and when he was in his thirties. He appeared to me great then; and with the years his stature only grew. For his sixtieth birthday, the Music Department arranged to have a star named in Howard's honor, and to present him with an official certificate identifying the Howard Mayer Brown constellation in recognition of his stellar intellectual abilities and accomplishments. Howard once said to me that the scholarly world included two types of people: those who do, and those who sit on the sidelines and carp. Howard was one of the doers. And his abundant activity and productivity not only led to great renown, but it also contributed to his continuing youthfulness through the passing decades. Adding to this youthful quality was Howard's irrepressible curiosity—curiosity about music and ideas, of course, but also about things like good food. It was at his house when I was a graduate student that I first tasted anything so exotic as vitello tonnato, or what my Italian cookbook prosaically translates as “cold braised veal with tuna sauce.” In the kitchen he let on to me that he had never tried to cook it before, and was experimenting on our graduate notation class. Later, at a different stage in each of our lives, he and Roger, and John and I, went out to dinner with what some might have called shocking frequency, trying out what seemed like every new hot restaurant in the vicinity. Roger called it “the eating club,” and we relished each new adventure, sometimes traveling far out of the city. Of course we didn't just eat; we also talked well into the night about many of the things about which Howard was also passionate and curious. About people: he was a wonderful gossip. About books: and not just serious tomes, but also the delightful Mots d'Heures: Gousses, Rames (Grossman / Viking, 1967), where the Mother Goose rhymes masquerade as ancient French poetry. And E. F. Benson's six-volume compensium Make Way for Lucia (Cromwell, 1977), which we devoured almost as ravenously as the food. And also about music. Although he was best known as a Renaissance scholar, Howard's interest in music stretched across all periods. He subscribed to the Chicago Symphony Orchestra and to the Lyric Opera, and went to every performance when he was in town. He was also passionate on the subject of contemporary music, saying of the Music Department at Chicago that if we the musicologists didn't support the composition of new music, we were denying the future of our own field of research. He joked that he had taught more of the graduate history sequence than anyone else: medieval monophony, medieval polyphony, Renaissance, seventeenth century, and eighteenth century. And he was intrigued with the notion of teaching the nineteenth and twentieth centuries as well, and talked with me about how he would have done it. Would that he had had the chance. Just as Howard was never constrained by artificial intellectual boundaries, he was never bound by superficial societal rules. In his clothing he mastered the “permanent rumpled look,” and when he first became chairman of the Chicago department in the 1970s Kathy Holmes, our administrative assistant, frequently found it necessary to make repairs to his trenchcoat, or tack up an errant jacket lining with the departmental stapler before Howard went off to important meetings. Although in later life he acquired greater sartorial splendor, especially in his magnificent bow ties, he never gave in completely to society's expectations. On one magnificent occasion, John and I had planned to take Howard to Glyndebourne to see Haydn's La fedeltà premiata on the day he was due to arrive in London after a transatlantic flight. The accepted dress at Glyndebourne is formal, which would have posed no problem, except that the airline had lost his baggage. And Howard would have rented a tux, except, as he plaintively explained, the airline kept saying that his bag was on the way! So he met us on the way to the opera wearing a very baggy mustard-colored corduroy suit, and off we went. Howard never tired of telling how the outraged British matrons gave him scathing looks, and we spent extra time walking around the grounds simply to judge expressions as we passed. The entire evening made him quite jolly. For me, this evening became a metaphor for Howard's philosophy of life. He chose to live as he wished, not as others might have decreed. And although he never forced his lifestyle on others, he was often mischievously delighted with their expressions of disapproval. He smoked, and while he would go out of his way not to impose his smoking on those who didn't like it, he also went out of his way to pursue a taste he enjoyed. And who can not picture him deep in thought, or with a quizzical and amused expression that included one very raised eyebrow, with cigarette in hand and the rising column of smoke breaking into what my MIT colleagues have now informed me is chaos. 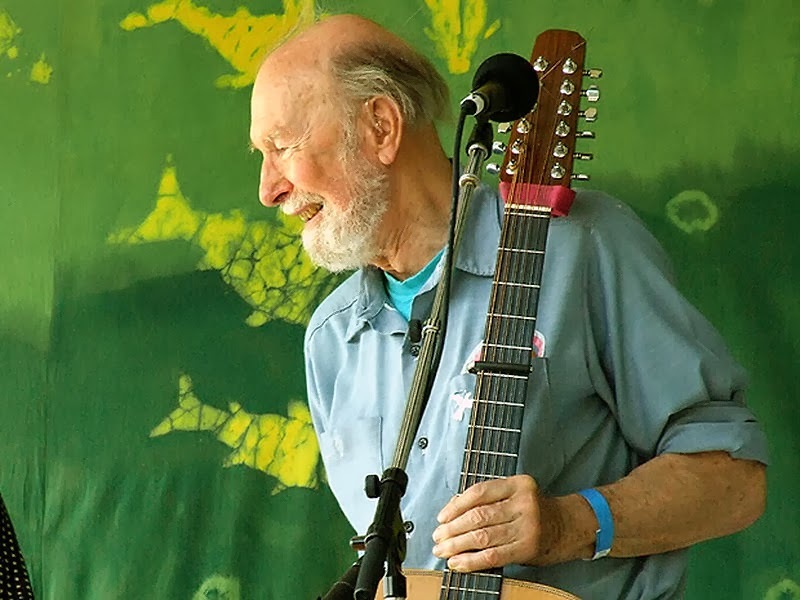 Howard would not have been himself if he had responded to societal pressure to quit smoking, eat less, exercise more, and we loved him for that. Howard was one of my dissertation readers. Over the years, after I became a faculty member of the University of Chicago, he and I often were paired as dissertation readers together. At first, of course, he was always the primary advisor, but after a little while we seemed to alternate that honor. Howard joked that he and I were the mother and father of many Chicago students, but that it wasn't always clear which of us was the mother and which was the father! I actually think the answer varied from student to student, but that's another story. However, given that joke, and given the nature of gender ambiguity so rampant in Baroque opera, I think Howard will forgive me that I have returned over and over again to the operatic story of Orfeo in the weeks following his death. Like Euridice, he was snatched from us just as he had returned to life, so to speak, after the loss of Roger, and the difficult burdens of the departmental chairmanship. Not for him a passage on the river Styx, but a Venetian canal with the sounds of Carnival fading in the background. And just like Gluck's Orfeo, we stand bewildered, saying over and over, “What will I do without Euridice? Where will I go without my love? What will I do? Where will I go?” Like Monteverdi's Orfeo, however, we can take some solace by turning to the star in the sky that is his. But Howard, we will miss you. Ellen T. Harris is president-elect of the American Musicological Society and Class of 1949 Professor at the Massachusetts Institute of Technology, emerita. A summary of her considerable achievements as a scholar of Baroque opera appears on p. 3 of the current Newsletter of the society. It shows various options, possibilities, and plans, as well as what is known about the history of the site. What the petition tries to do is put some pressure on the government to put pressure on the owners of the lot, an international hotel holding company which has been completely unresponsive to the various proposals. They do own the ground—the property—but have no immediate plans for building there—anything at all. That's why it remains a parking lot. There seems to be, as well, passive resistance—perhaps even more than that—on the part of various Weimar cultural organizations. Since the days of the German Democratic Republic, the city's cultural identity has been mostly associated with Goethe and Schiller. The decision, in old East Germany, appears to have been to divide cultural heritage by municipality: Leipzig would be the Bach city; in Eisenach, Luther would share the stage with Bach; Weimar would be for the literary classics—Goethe, Schiller, Herder, and with nods to the Bauhaus school (1919–25) and to Liszt, who lived there from 1848 to 1861. The plans as to exactly what to do on the proposed Bach-Haus site—the vacant lot—are still up in the air: nobody wants to spend money for architects, detailed planning, and fundraising unless and until there is more legal clarity. The general goal is to have a memorial to Bach there where he lived for nine years and where his oldest children were born. 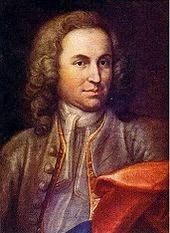 These include both Wilhelm Friedemann and Carl Philipp Emanuel, arguably the most important Weimar-born composer. 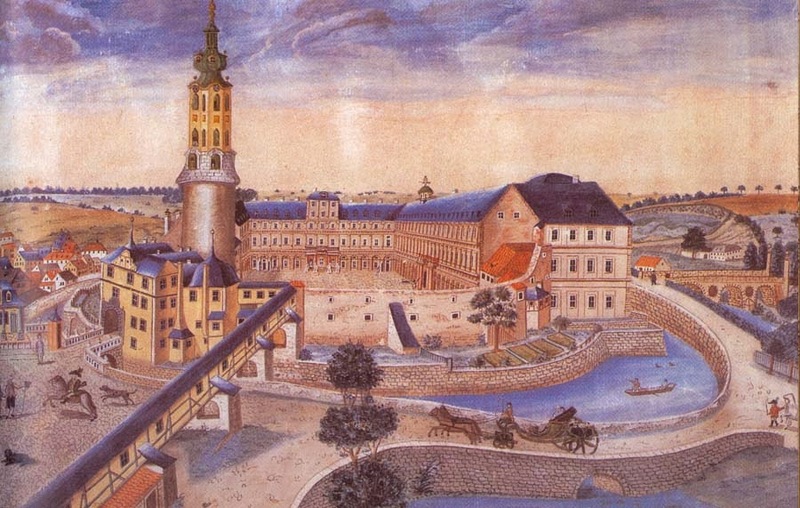 Weimar in the 18th century. That memorial at the precise place where Bach's house stood would, at the very least, sensitively fill a really ugly hole in a continuous street front. Knowledge of the Bach-Haus seems inadequate to create a real replica. But the exterior could certainly be quite true to the original. The interior would be a museum of sorts, and there are also suggestions that it include a venue for music-making and interactive musical activities. Post in Norman Lebrecht's blog, Slipped Disk. Robert L. Marshall is Louis, Frances, and Jeffrey Sachar Professor of Music, emeritus, at Brandeis University in Waltham, Massachusetts. He is author of the award-winning The Music of Johann Sebastian Bach: The Sources, the Style, the Significance (Schirmer Books, 1989) and, most recently, editor with Robert Curry and David Gable of Variations on the Canon: Essays on Music from Bach to Boulez in Honor of Charles Rosen on His Eightieth Birthday (University of Rochester Press, 2008). NOTE: Here we post Tony Sheppard's recent TED (Technology, Entertainment, Design) talk "Pop Orientalism: Tin Pan Alley to Taiwan Today." (Wikipedia entry on TED and TEDx HERE.) The talk considers musical representations of East Asians and of Asian music from the late nineteenth century to 2013, touching on examples from minstrelsy, to Katy Perry's "Unconditionally" performance at the American Music Awards, to music videos by the East Asian megastar Wang Leehom, offering some shoutouts to fellow musicologists along the way. W. Anthony Sheppard is editor of the Journal of the American Musicological Society and professor and department chair at Williams College. Curious about disability, but unsure of what it is? This is a short primer on the field of Disability Studies, and covers some basic principles especially relevant for musicologists and music theorists. I delivered a shorter version of these remarks at the meeting of the Music & Disability Study Group at AMS in Pittsburgh (2013); the present post also appears on the Study Group’s blog. One of the central arguments of Disability Studies is that disability, in addition to any physical basis it may have, also operates culturally. We will relegate the study of biological impairment to the medical establishment, but the cultural study of disability is best undertaken by humanists—by literary theorists, historians, and, yes, musicians. Music scholars have usually pursued this cultural study of disability from two perspectives. Some adopt ethnographic or sociological methodologies, examining the ways in which musicians may have identified as disabled, how disability may have impacted the mechanics of their craft, and how disability may have influenced their reception. For example, Terry Rowden’s The Songs of Blind Folk (University of Michigan Press, 2012) examines cultures of blindness among African-American musicians, while Jeannette Jones and Anabel Maler have recently undertaken studies of song signing, exploring the genre’s negotiation of Deaf identity through music performance. (Both authors have also contributed posts to the Study Group’s blog, HERE and HERE). These and other studies seek to understand disability as an important component of identity, akin to gender, sexuality, or race. Scholars have also considered musical representations of disability, by both disabled and non-disabled composers. Through harmonic imbalance, melodic disfluency, or formal deformations, musical texts may be said to embody various disabled states; indeed, as Joseph N. Straus has shown in Extraordinary Measures: Disability and Music (Oxford UP, 2011), many theoretical traditions (including embodiment, energetics, the Formenlehre) commonly apply metaphors of disability to describe musical dysfunction. Supplemental texts, such as song lyrics, opera librettos, and film images, can further specify the presence of a disability within a musical work. These representations of disability tend to follow familiar cultural scripts and archetypes—for instance, the associations between disfigurement and derangement (Rigoletto, Captain Ahab, Darth Vader), between stuttering and feeble-mindedness (Demo in Giasone, Vašek in The Bartered Bride), and between blindness and prophecy (Tiresias in Oedipus rex). Of course, there is no medical basis for these associations; they are entirely cultural. The word disability establishes a binary between what one can do (ability) and what one cannot do (dis-ability). Throughout history, disability often emerges as an antithesis to some other desirable standard. More recently, the social model of disability, advocated by the Disability Rights Movement of the 1980s, has argued for the value of bodily difference. Under this model, disability is not a fixed, medical condition; rather, it emerges from a society that chooses to accommodate some bodies and exclude others. A wheelchair user is disabled by curbs, but not by sloped curbs. A deaf person is disabled by oral language, but not by sign language. What is interesting (and, for many disability scholars, ethical) about this model is that it assigns stigma not to the imperfect person or to the abnormal person, but rather to the exclusionary societies that fail to accommodate bodily differences. Although I have arranged the religious, medical, and social models of disability chronologically, I suspect they have always coexisted, each one emerging as dominant at different historical moments. What remains consistent is the binary structure through which disabilities received their definition: the ideal body vs. the imperfect body, the normal body vs. the abnormal body, and the accommodated body vs. the unaccommodated body. Of course, many scholars have sought to eradicate these binary distinctions, reconceiving bodily difference without hierarchy. For example, Jennifer Iverson (in her chapter “Mechanized Bodies: Technology and Supplements in Björk’s Electronica,” forthcoming in the Oxford Handbook of Music and Disability Studies) has argued that Björk’s electronica envisages s a post-human fusion of the natural body with prosthetic technology—bypassing familiar hierarchies that prioritize the unassisted body. Many narratives, requiring tension before release, requiring a problem before its resolution, appropriate disability as their obstacle of choice. David T. Mitchell and Sharon L. Snyder have termed this appropriation of disability narrative prosthesis. The narrative prosthesis (usually a disabled character within a story) has two main functions: it gives the story a problem to solve; and it defines by counterexample the desirability of the subsequent resolution. For example, Luke Skywalker’s body derives its naturalness in contradistinction to Darth Vader’s artificial body. In the end, the able-bodied hero triumphs. The disability may be rehabilitated, or the disabled character may be expelled. This is what one disability scholar terms the “cure or kill” paradigm—both solutions eliminate disability from the story. We might think of the many mad characters in opera who regain their reason just before curtain call (Handel’s Orlando or Paisiello’s Nina). We might also think of the many mad characters who don’t last that long (Wozzeck or Peter Grimes). The mechanism of the “cure” need not be medical. For example, Stephanie Jensen-Moulton (in a recent presentation at an annual meeting of the American Musicological Society) has identified a cure narrative in television series Glee: in one episode, a deaf show choir is normalized (“cured” of their deafness) by the intrusion of singing voices. More benignly, bodily impairments may also receive accommodation so that they no longer signify as disabilities. 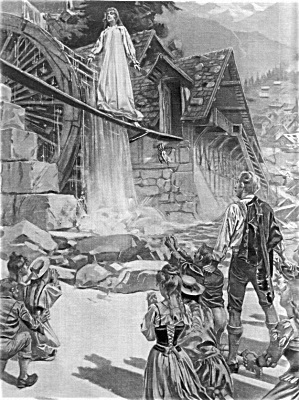 I’m speculating here, but perhaps this is what happens to the sleepwalking Amina: La sonnambula ends not when her condition is cured, not when her character is expelled, but rather when the reasons for her erratic behavior are discovered and recognized. In all of these examples, disability presents a problem within a narrative, and the elimination, rehabilitation, or accommodation of that disability participates in the story’s resolution. Note that few of these stories are actually about disability—rather, disability has been frequently appropriated as a rhetorically powerful marker of difference, as a way to emblemize other forms of estrangement. These basic principles are subject to much nuance and revision. Indeed, as much as Disability Studies can offer new insights about musical topics, music can also offer many new insights about disability. There is much exciting work in our subfield (on these and many other topics), and I encourage interested readers to become involved in the activities of our Study Group. Blake Howe is Assistant Professor of Musicology at Louisiana State University. He is co-chair of the AMS Music and Disability Study Group, co-editor of the Oxford Handbook of Music and Disability Studies (forthcoming), and Recording Reviews Editor for Nineteenth-Century Music Review. NOTE: The AMS Newsletter of the American Musicological Society features a series of reflections from musicologists who have pursued non-tenure-track careers. We are pleased to co-publish this essay from the February 2014 Newsletter. Beyond the immediate gratification music affords, listeners at all levels of sophistication seek deeper understanding of how music works and why it affects us—witness enthusiastic stories of the “Mozart effect” on child development. Research in music cognition is only in its infancy, but popular interest is growing, as shown by the eager reception accorded the insights of Oliver Sacks and other neuroscientists who are also able musicians. Modern technologies used in the study of music perception differ greatly from the tools of conventional music analysis; bridging this gap between radically contrasting approaches challenges the coming generation of musicologists, who will need new vocabularies and new skills to pursue a dialogue across fields often artificially separated in academe. Intersecting with cognition, music history, ethnomusicology, and engineering, my work as an organologist arose from curiosity about the expressive function of timbre and the nature of our responses to it, aspects thus far little studied compared to pitch, rhythm, and other fundamental building blocks. My path led from conventional schooling in performance (B.Mus., harpsichord, Northwestern University, 1966; private study with Paul Maynard and Thurston Dart) and musicology (M.Mus., King’s College, University of London, 1968; ABD, University of Chicago, 1972) to curating musical instruments for The Metropolitan Museum of Art, where I served for thirty-three years. I oversaw acquisition, conservation, and interpretation, the last area embracing exhibitions, recital and recording production, public lectures, and other educational programming that explored instruments from prehistory to the present. Concurrently I taught graduate courses and published papers in which I sought to explicate the process of innovation and show how the sounds and symbolism of different instruments affect compositional decisions and listeners’ reactions, often unconsciously. After retiring from the Met, as president of the Organ Historical Society and honorary curator of Steinway & Sons, I was able to reach more specialized audiences through talks and publications outlining how technological, sociological, economic, and environmental forces as well as purely musical ones influence tonal design and expressive capabilities, particularly of keyboard instruments. I also consulted with cultural institutions that preserve rare instruments (including custodians of historic church organs) and advocated for their documentation and conservation. Finally, I was entrusted with editing the revised Grove Dictionary of Musical Instruments (forthcoming in print in April 2014). I hope that the dictionary’s new coverage of such topics as haptics, ergonomic design, brain-computer interfaces, and found instruments will encourage interdisciplinary learning. My formal training and hands-on employment with various instruments and situations (early on I tuned pianos, gave lessons, and played organ to pay the rent) led to career opportunities outside the normal scope of museum work and classroom teaching. No less valuable early experience, however, was organizing a tenant union, managing an apartment building, and negotiating with hostile landlords on Chicago’s rough South Side—useful preparation for work in non-profit institutions and commercial publishing. The existence of close-knit societies for music theory, ethnomusicology, music perception, instrument buffs, and many other special-interest groups might suggest that we trespass with peril beyond narrowly defined disciplines. But venturesome forays outside traditional academic boundaries, armed with critical attitudes and skills gained from “real life,” can overcome this fragmentation and engage audiences in fresh ways of approaching music. Laurence Libin is, well, all of the above. He was the curator of musical instruments at the Metropolitan Museum of Art for more than three decades, and founding chair of the AMS Committee on Non-Academic Employment (now the Committee on Career-Related Issues). 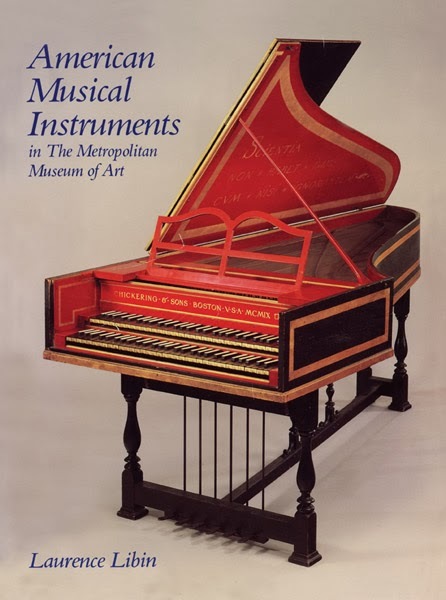 His American Musical Instruments in The Metropolitan Museum of Art appeared in 2012 (Yale UP). New York promoter Sid Bernstein called himself “the man who brought the Beatles to America.”<1> Bernstein’s oft-told story of how he came to book the Beatles for two performances in Carnegie Hall on February 12, 1964, however, has been questioned by at least one expert.<2> The chief point of contention regarding Bernstein’s account is that he booked the Beatles before Ed Sullivan approached them to appear on his Sunday-night variety show. The Beatles appeared on Sullivan’s show three weeks in a row; the first broadcast on February 9—fifty years ago this Sunday—is regarded as historic, drawing more than 70 million viewers and launching the British invasion. A closer look at Bernstein’s story, as well as the one told by Sullivan, reveals that there is likely an element of show-biz fish tale in both. But a broader understanding of the career circumstances surrounding the Beatles in fall of 1963 suggests a likely scenario that preserves the main thrust of both stories and corrects the errors found so frequently in current media accounts. In late summer or early fall 1963, however, three potential business partners were beginning to cluster around Epstein and the Beatles, all seeing tremendous American promise in the group’s UK success. At the London office of United Artists Records, Noel Rodgers noticed that the band’s exclusive contract with EMI did not seem to cover soundtrack albums. He took this information to UA’s European head Bud Ornstein, and Ornstein was able to spearhead a deal with Epstein to make a Beatles movie. As far as UA was concerned, the film could actually lose money so long as the resulting album was a hit.<5> When the Beatles broke in the US in January 1964, Ornstein looked like a genius: that summer, far from being a promotional vehicle for the soundtrack album, the film A Hard Day’s Night became a significant box-office hit in its own right. During the same period, one of Ed Sullivan’s UK-based talent scouts, Peter Prichard, was reporting back to New York on the rise of Beatlemania. Sullivan himself had been in London in September and visited with Prichard, who then sent Sullivan press clippings on the band. When the Beatles returned to London’s Heathrow Airport from Sweden on October 31, the runway had to be shut down for a period to ensure that the throng of enthusiastic fans remained safe. Sullivan sometimes told the story that he was sitting in a plane on the runway and upon learning about the Beatles popularity, decided at that moment to book them. However, evidence casts doubt on whether Sullivan was actually in that plane that day. While he was at Heathrow in September, he was most likely in New York on October 31.<6> By this time Prichard had already contacted Epstein about the possibility of booking the Beatles for Sullivan’s show anyway, and in early November, Brian flew to New York and locked down the deal for the three shows in February. This context sheds light on the story told by Sid Bernstein. Bernstein claims to have contacted Epstein in the spring of 1963. While this is possible, it is more likely that the contact was made in November, since Bernstein names Bud Halliwell as the person who provided Epstein’s number, and Halliwell was in contact with Epstein at about that time to assist in the promotion of Beatles records.<7> Epstein would have been eager to sign the movie deal with UA and the television deal with Sullivan before the Beatles had a hit in the US because both of those could be thought of as promotion. He hesitated on the Carnegie Hall concerts, however, because without a hit single in the US the band might play to a half-filled house—or worse. When Washington D.C.’s WWDC radio began playing a UK copy of “I Want To Hold Your Hand” in mid-December, the record became hot and Capitol decided to move the release date up to December 26 from the mid-January date they had finally been talked into by EMI. By mid-January it was clear the record was a hit. Epstein likely confirmed the Carnegie Hall show with Bernstein then at the latest, though perhaps as early as December, and booked a warm-up show in the nation’s capital for February 11. This warm-up show ended up being filmed by CBS, appearing in theaters across the US in March 1964, months before the premiere of A Hard Day’s Night. Capitol even attempted to record the Carnegie Hall shows, but the plans were dashed when the American Federation of Musicians would not permit the Beatles’ British producer George Martin to supervise the work. In light of this context, then, it seems likely that Bernstein did not get a commitment out of Epstein before Sullivan booked the Beatles, though he did know enough about the group to book them before they had a hit single. It also is clear that Sullivan took a chance on a band unknown in the US, signing them to three consecutive appearances on his high-profile show. The signing of the film agreement with UA in the fall of 1963 further establishes that all of these deals were meant to break the Beatles in America on the promise of their UK success. When the Beatles got word that “I Want to Hold Your Hand” had gone to number one on the Cashbox charts in late January, they were performing a series of shows in Paris, attempting to build their following in France. During their time in Paris, they also went into the studio to re-record the vocals to “I Want To Hold Your Hand” and “She Loves You” in German, in hopes of boosting their German following. Having a hit single in the US came as a big and very pleasant surprise to the band, eclipsing anything they could have done for themselves in France and Germany. In the end, Ornstein’s, Sullivan’s, and Bernstein’s bets paid off and Epstein successfully engineered and executed a plan to storm America. The British invasion was on. John Covach is Director of the Institute for Popular Music at the University of Rochester, where he is also the Mercer Brugler Distinguished Teaching Professor and Professor of Theory at the Eastman School of Music. 1. Bernstein tells the story in his autobiography, “It’s Sid Bernstein Calling”. . . The Amazing Story of the Promoter Who Made Entertainment History, as told to Arthur Aaron (Middle Village, New York: Jonathan David, 2002), 111–56. Versions of the story appear in Bill Harry, The British Invasion: How the Beatles and Other UK Bands Conquered America (Surrey: Chrome Dreams, 2004) and Ray Coleman, The Man Who Made the Beatles: An Intimate Biography of Brian Epstein (New York: McGraw-Hill, 1989). Both Harry and Coleman knew the Beatles and Brian Epstein during these early days ,and neither seems to have found Bernstein’s story untenable or far-fetched. 2. Bruce Spizer, The Beatles Are Coming: The Birth of the British Invasion in America (New Orleans: 498 Productions, 2003), 188–89. Spizer’s evidence challenging Bernstein’s claim is strong but not conclusive. 3. Though this judgment turned out to be wrong in the case of the Beatles, it was entirely justified. Aside from The Tornadoes’ “Telstar,” which went to number one in the US in 1962, very little British rock had any success stateside. 4. Capitol did actually reject “From Me To You,” since the Vee Jay deal for “Please Please Me” gave the smaller label right of first refusal on future Beatles recordings. EMI broke with Vee Jay over on-payment of royalties and as a result “She Loves You” was offered to Capitol, who rejected it. Meanwhile Capitol in Canada, led by Paul White, released all three of these songs plus “Love Me Do.” These first three Canadian singles did very poorly, seemingly confirming the Capitol US decision; “She Loves You,” on the other hand, did very well in the north, prompting sales of the previous releases in its wake. 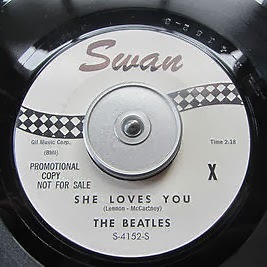 “She Loves You” was a hit in Canada in December of 1963, a week before “I Want To Hold Your Hand” was released in the US. 5. Ray Morton, Music on Film: A Hard Day’s Night (Milwaukee: Limelight Editions, 2011), 16–18. 6. James Maguire, Impresario: The Life and Times of Ed Sullivan (New York: Billboard Books, 2008), 281-96. The October 31 Heathrow event did occur, but Maguire argues that Sullivan probably wasn’t there. 7. Spizer reports that Epstein hired Halliwell (Spizer spells the name “Helliwell”) in November, when he went to New York to meet with Sullivan. See Spizer, p. 189, and Bernstein, p. 116. Spoiler Alert: This post treats Series 4, Episode 3 (US Episode 2) of Downton Abbey, which was broadcast by UK network ITV on 6 October 2013 and by US network PBS on 12 January 2014. Music can be seen and heard everywhere on the newest season of Downton Abbey, the serialized British television drama that follows the household of the fictional Earl and Countess of Grantham and their slow march to modernity. Set in the early years of the Roaring Twenties, this season’s first episodes studiously demonstrate how music’s “roar” contributed to a growing sense of gender- and class-based equality. Wild-child Rose, the newest addition to the household, continues to throw caution (and class distinctions) to the wind; in one episode, she poses as a Downton servant to visit a local dance hall, nearly causing an alcohol-induced barfight in the process. Later in the season, we watch approvingly as Rose dances with Downton’s first black character, jazz musician Jack Ross, a racial transgression that is universally condemned by upper- and working-class characters alike. The march to modernity, so it seems, is slower for some than it is for others. To be sure, music has long aided in promoting Downton’s mystique. We need look no further than the theme song, a simple minor-mode melody by British composer John Lunn. The memorable tune provides an unadorned musical counterpoint to the show’s sumptuous visual opening credits, which dwell luxuriously upon the ornate, Jacobethan (and real-life) country manor, Highclere Castle. Such music is what film scholars call non-diegetic: music that comments upon the story’s action from the narrator’s perspective. In this season, however, we also encounter a veritable flood of diegetic or source music that sounds within the “story world” of the characters and affects their actions. In the fictional world imagined by Downton’s creator Julian Fellowes, such music does not resound, it roars. Matthew and Mary meet in the foyer; romantic dancing ensues; Matthew delights Mary with knowledgeable banter (“I think it was in a show that flopped”); Mary offers witty repartee (“We were a show that flopped”). Suddenly, narrative music cuts in, a silver lining within a “Silver Lining,” and the string orchestra slowly builds in intensity—what is to happen with our star-crossed lovers? Finally they kiss. But even more quickly than it began, the music abruptly disappears, just as Matthew's Lavinia appears on the staircase. As Harris’s crooning returns to fill the sonic and emotional void, Matthew awkwardly tries to begin a conversation with Lavinia. Then, and only then, the needle drops from the gramophone. Music thus foreshadows what the audience does not yet understand: After Lavinia dies—in other words, after her music stops—Matthew is free to pursue his “silver lining”: Mary. The double meanings that lie at the heart of this musical subterfuge help heighten the effect of gramophone’s reteurning in the current season. In the third episode, the Grantham clan throws an opulent house party to raise the spirits of Mary, who is still in mourning. After being goaded into dancing with a new suitor, she flees the scene when she realizes that Matthew’s gramophone is the source of the music. But her unease is deeper than the mere presence of what one reviewer refers called “Matthew’s death gramophone.” For the whole scene closely resembles the earlier dance sequence between Mary and Matthew. The gramophone thus juxtaposes the presence of the device with Matthew’s tragic absence. There is still music to be played, but Mary has no silver lining. For everyone besides Mary, the gramophone, ubiquitous by the 1920s, was unremarkable. (Countess Grantham: “A house party can be so flat if there’s no special moment.”) In the next installment, this “special moment”—a recital at Downton Abbey by Australian opera superstar Nellie Melba—develops into much more than meets the ear.